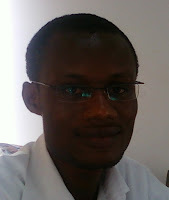 George lives in Accra, and is a graduate of the University of Ghana with a BA(Maths/Economics). He is currently working with one of the Government Agencies in Ghana, and is pursuing a Master's degree in International Development Policy. He reads and sometimes does some writing during his free periods. It's been a hobby since secondary school but I took it seriously, so to speak, at university, even though it was not something public. 2. Who are your favourite poets? Which poets have most inspired and informed your writing? I wish I could mention a name but the truth is I love good poetry especially from Ghanaians and Africans (Nigerians mostly) and some Western poetry, too. To help inspire and also help propagate the art of poetry. Also to in my own way help people realise themselves through my poetry. 4. "Woes of a Poet" references the phoenix, the central image of your last poem featured on One Ghana, One Voice, "The Phoenix," which produced a good deal of discussion. Was "Woes of a Poet" written in response to that experience? No, I actually wrote it before my first poem was published, but what I noticed about poets, and myself as a person, is that we always want to be perfect in whatever we do and so worry a lot about what we do. So even though its particular, once again like my first poem its reality is in everyday life. You have no idea how much I cherish editors, critics, etc. because without them no one can ever be a better person.